With offices in Maastricht and Venlo, Wolfs Advocaten specialises in legal solutions for entrepreneurs in the Netherlands and abroad. Wolfs Advocaten is a so called full-service firm, where all areas of law are covered. The firm is mainly specialised in the field of (international) transport law, business law, international commercial law, customs law and insurance law. Maprima is an established professional service provider with a track record of almost twenty years. We are a BeNeLux based firm with offices in the Netherlands, Luxembourg and Belgium. Most of our clients are internationally active companies and wealthy families. We are proud to have developed long standing relationships with these clients. Our team consists of more than twenty hands on professionals (administration, reporting, fiscal compliance, legal, management) working together in a flat organization. Our size allows us to offer the technical expertise, continuity and experience needed in English, French, German or Dutch. At Maprima we do not consider our clients as “files”. Clients are the very reason of our existence. The absence of a large overhead allows us to offer services at a reasonable fee level. 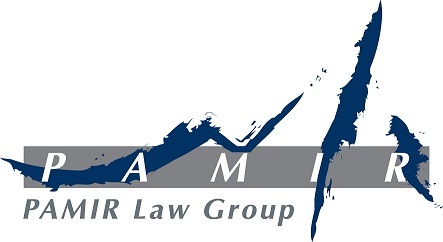 Pamir is an international law and business consulting firm based in Asia with offices in Taipei, Shanghai and Beijing, with a long track record of successfully closing transactions in a broad range of industries in the PRC and Taiwan. Bavelaar & Bavelaar Advocaten & Rechtsanwälte is an international law firm specializing in Corporate/M&A, Commercial law and International Trade law, Real Estate law, IT law and litigation. Our services include the setting up of Dutch corporate entities by our Notary department. Our success emanates from a combination of experience and high-quality service with an eye for practicality. Our firm specializes in providing high-end legal services with a particular focus on cross-border transactions in a broad range of domestic and international environments. Our clientele consists of foreign clients doing business in The Netherlands and Dutch clients doing business domestically or abroad. We realize that for our clients to be able to operate successfully in another country, a profound knowledge of the foreign market, business culture and language is required. Our partners are experienced professionals who have acquired their legal training at reputable Dutch law firms. Our clients tell us that providing cutting-edge legal services combined with a particular client focus is the key to our success. We look forward to getting to know you and your organization personally so that we can provide you with the quality legal care you deserve. 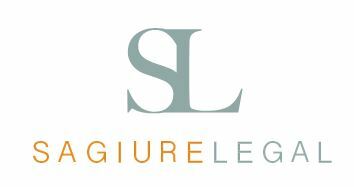 Sagiure Legal B.V. (“SAGIURE”) is an independent law firm based in Amsterdam, the Netherlands. SAGIURE stands for knowledge and determination (SAGE), two key factors to success in the legal (IURE) business hence our firm’s name SAGE [seyj] + IURE [iūre]. At SAGIURE we specialize in corporate employment and contract Law. Our focus lies with (multinational) corporations and entrepreneurs with a workforce or investment in the Netherlands or an ambition to set-up or grows business in the Netherlands. Working with both large and small (including innovative start-up and scale-up) corporations, we offer clients bespoke legal service on, and representation in contentious and non-contentious employment law and contract law matters. We specialize in corporate employment and related contract law in the area where employment law, corporate law and tax law coincide. Our core work ranges from advising clients on day to day legal matters to guidance on employment and HR matters in M&A transactions. Given our corporate focus, we have developed strong relationships and a track record in acting as a strategic business adviser for clients in structuring business goals from start-ups to multinationals. Although we focus on employment law the type of client we service generally needs a variety of legal and tax expertise with often a cross-border element.